Inspiration can be a funny thing, sometimes. Random flavour combinations have a habit of getting stuck in my head, rattling around in my brainpan until they blossom into full-blown cravings, sometimes transforming along the way into something quite different than the original inspiration. Take these Fig and Black Pepper Biscotti, for example. It all started with a gorgeous Fig and Black Pepper Latte that the de-lovely Kris at 80twenty posted on her blog just a few short weeks ago. Into my head it went, bouncing along my synapses, evolving as it went from Kris’s soothing creamy latte to crisp biscotti dotted with chunks of fig and just the subtlest dash of black pepper. Why biscotti, instead of all the other possibilities my work-addled brain could have dreamed up? Damned if I know. What I do know, however, is that this may be the only biscotti recipe I ever make from now on, because it’s a positively brilliant combination of flavours. 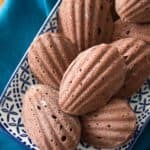 Part of the reason that the combination works so well is that biscotti dough is something of a blank canvas when it’s stripped down to its most basic components of flour, sugar, baking soda, salt and egg, which means that the real star of the show is all the other stuff that gets mixed in. In this case, that means it’s all about the almost-savoury blend of orange zest, crushed fennel seed and black pepper that flavours the dough, contrasting against the natural honey-like sweetness of the Black Mission figs. The resulting cookies are wonderfully crisp (all the better to go with a strong espresso), and subtly spiced with a gentle peppery heat that first hovers on the edge of awareness before building up to a warm tingle. 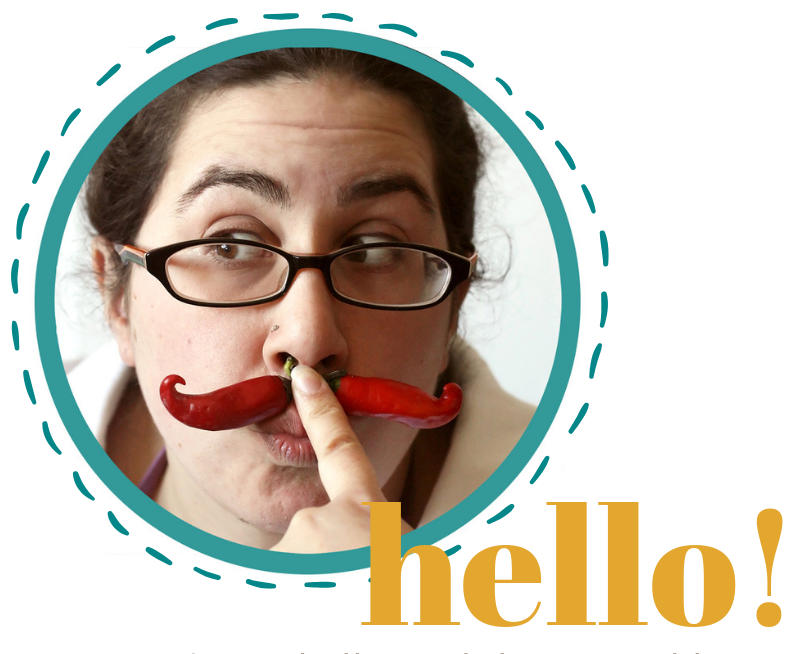 They’re not spicy, per se, so much as they are spiced. These biscotti pair the natural sweetness of black mission figs with the gentle warmth of black pepper in a crisp dunkable cookie. Preheat oven to 350F, and line a large baking sheet with parchment paper. In a large bowl, combine flour, sugar, pepper, baking soda and salt. Stir until evenly combined. Using a mortar and pestle, crush the fennel seeds. Add to the dry ingredients along with the chopped figs, and stir until combined. In a small bowl, beat eggs, orange zest and vanilla extract until frothy. Pour into the dry ingredients and combine until you have a loose, crumbly dough. Turn out onto a clean surface and, using your hands, knead lightly until you have a soft, cohesive dough. Working on a floured surface, shape the dough into 2 logs, each about 14 inches long. Place the logs on the prepared baking sheet and press down until 1/2 inch high. 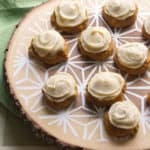 Brush the tops with heavy cream. 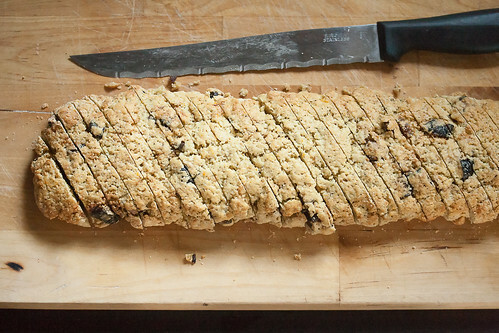 Bake the biscotti in preheated oven for 25-30 minutes, or until just barely browned. Remove from oven and let stand for 5-10 minutes or until cool enough to handle. Reduce oven temperature to 325F. Using a serrated knife, cut the cooled logs into 1/2″ thick slices on the diagonal (you should have around 36 slices). Arrange the slices on the baking sheet, cut side up, and return to the oven to bake for 15 minutes or until crisp and lightly golden brown. Welcome to the last day of Cookie Week, hosted by Kim of Cravings of a Lunatic and Susan of The Girl In the Little Red Kitchen! We’ve teamed up with 10 other talented bloggers to bring you five fantastic days of cookie recipes to get you in the holiday spirit. We hope you’ve enjoyed this week as much as we did. Good catch, Monique! I’ve updated the recipe to indicate that the cream is supposed to be brushed onto the logs just before they go into the oven. 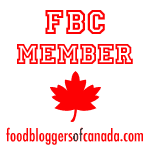 first time to visit crumbblog, thanks to your bold combination of black pepper and fig biscotti (and a little bit of social networking :)). 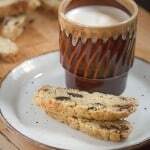 This biscotti looks fantastic! I’m totally digging the fig/black pepper combo. I salty-sweet is all the rage, but I adore a hint of pepper in sweet things. 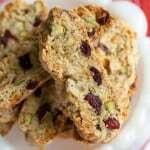 I also can resist a good biscotti recipe. Fig pepper sounds delicious! I’ve woken up from sleep, bolt upright with flavor combinations in my head. This lasts all day until I finally break out the flour, butter, and eggs. Most of my best recipes happen that way. 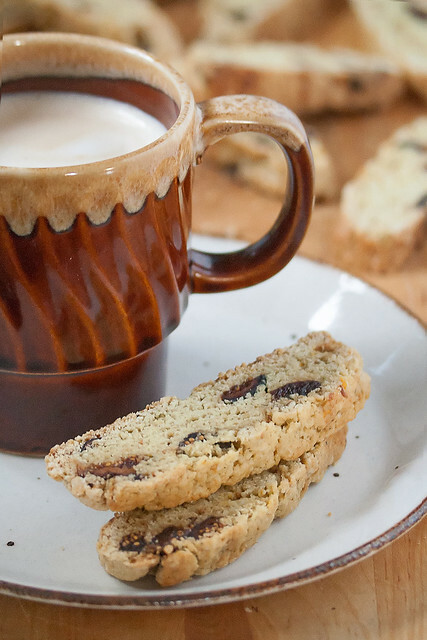 I have no doubt these fig and black better biscotti are a great idea indeed. I can’t wait to try them! What a wonderful combination of flavors, Isabelle. I have yet to make biscotti but this year’s Cookie Week has inspired me. Mmm! 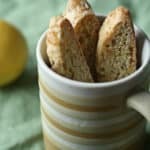 I love putting black pepper in biscotti too! I do a gingerbread one with lots of spicy black pepper. I’ll have to try fig next time. Have you tried the infused dried figs? The orange ones are my favorite. These sound so ridiculously tasty. I am an absolute sucker for anything that has fennel seeds in it, anyway. My coffee is lonely. Please send biscotti. What unique flavors, it sounds delicious! 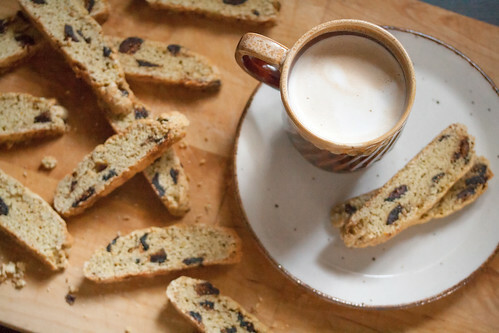 Oh gosh how I would have loved to have this fig biscotti along with my cup of tea now. & black pepper what a little surprise of a twist! I absolutely love taking typically savory elements such as black pepper and fennel seed and translating those into baked goods. Great recipe!